Sri Lanka captain Angelo Mathews scored his highest test innings of 160 before the visitors were dismissed for 457 after tea on the fourth day, setting England a victory target of 350 in the second test at Headingley on Monday. That left England needing to set a new national record if they were to emerge victorious, with their highest fourth-innings total to win a test the 332 they managed against Australia in 1928/29. Liam Plunkett finished with 4-112, and James Anderson bagged 3-91. 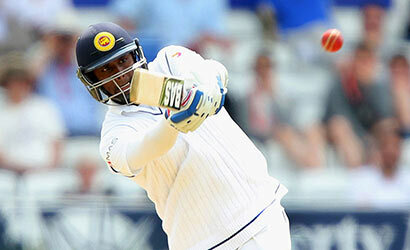 Mathews scored his second hundred in as many tests as the tourists got on top of England. Glad to see SL cricket team is in reliable hands. He has earnrd his place and thoroughly deserve to be the captain. Also great to see SL’s seam bowlers success.